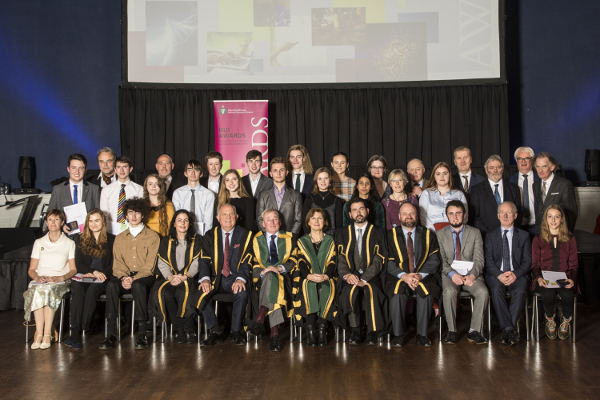 The Dr Henry Hutchinson Stewart Literary and Medical Scholarships and Prizes are among the oldest awards to be offered for competition by the NUI. First established in 1888 following a bequest from the estate of Dr Henry Hutchinson Stewart, these awards were initially made by the Royal University of Ireland until its dissolution in 1908 and were then continued by the NUI. Under the terms of the trust it was provided that two-thirds of the income be allocated for the provision of medical scholarships and one-third for the provision of literary scholarships. There are no special application procedures or entry requirements for these Scholarships and Prizes. 2018 NUI Dr H H Stewart Literary Scholarship and Prize recipients at the 2018 NUI Awards Ceremony, The Round Room at the Mansion House. Click to enlarge image. These awards are based on the results of assessments completed in first year or stage one modules in each of the 8 subjects listed above. These may include the results of students registered on any undergraduate degree programme where it is possible to take first year or stage one language and language-related literature/cultural studies modules. Nominated students should demonstrate stage one achievement across the language discipline as a whole. Up to three of the students achieving the highest marks across these disciplines in each of the four NUI constituent universities will be put forward as candidates by their School / Department. Students cannot apply directly to NUI for these awards. Note: Students whose first language is Chinese, French, German, Italian or Spanish will not be considered for the Scholarships and Prizes in these respective languages. 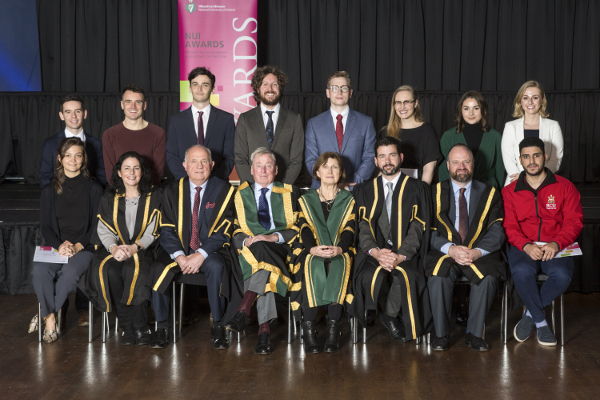 2018 RCSI recipients of NUI Dr H H Stewart Medical Scholarships and Prizes with Platform Party at 2018 NUI Awards Ceremony. Click to enlarge image. 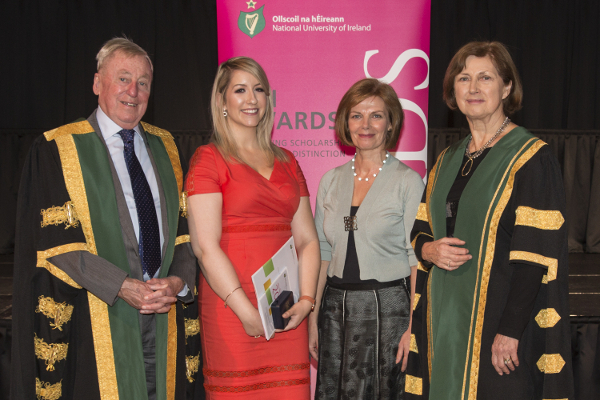 The NUI Dr H H Stewart Medical Scholarships and Prizes are offered in a range of subject areas and disciplines across Medicine, Nursing and Midwifery, and Health Sciences. The participating NUI institutions include UCD, UCC, NUI Galway, RCSI and St Angela’s College, Sligo; also included are overseas campuses linked to NUI institutions, including RCSI & UCD Malaysia Campus, RCSI Bahrain and Perdana University (RCSI). The awards offered in clinical subject areas are based on specially set examinations taken by medical students nominated by each of the Medical Schools. The awards in Nursing and Midwifery and other Health Sciences are based on the submission of examination materials of students and nominations by Faculties, Schools and Departments. * Medals are awarded for First and Second place only in these subjects. (L-R) NUI Chancellor Dr Maurice Manning; Dr H H Stewart Medical Scholarship in Nursing, Breanne Farrell and Dr Ursula Gilrane, both St. Angela’s College, Sligo; NUI Registrar Dr Attracta Halpin. Click to enlarge image. 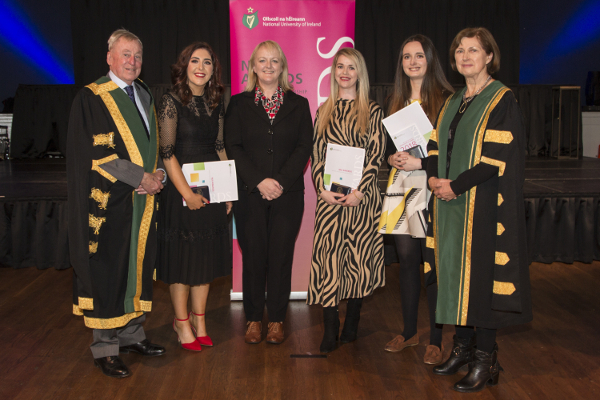 2018 UCC recipients of NUI Dr H H Stewart Medical Scholarships and Prizes in Nursing and Midwifery with NUI and UCC representatives (L-R) NUI Chancellor Dr Maurice Manning; Claire Cronin; Dr Angela Flynn, Director of Undergraduate Education, School of Nursing & Midwifery, UCC; Sarah Ann Twomey; Bronagh Nevin; NUI Registrar Dr Attracta Halpin. Click to enlarge image. In 2019, the Scholarship and Prizes will be awarded in Intellectual Disability Nursing.